Far from being a solution to avoid future public bailouts and austerity, Europe’s new banking union rules look like a victory for the financial sector to continue business as usual. In late 2013, the EU took a major step towards a “banking union”. This has been presented as a series of measures in response to the financial crisis to avoid a repeat of the vision of contagious risk and bailed out banks. In the preceding months a “single rule book” for banks and a European-wide system of supervision had been adopted. Finally in December a set of rules on a common regime of “resolution” (winding up) of ailing banks was agreed, and the European Council decided its version of rules on how to manage the question of the costs of resolution. These bold promises are bound to be received well by the public in most parts of Europe. With the financial crisis, member states took over massive debts originated in the financial sector to save banks. Four and a half trillion euros had been risked for bailouts – and the final bill was 1,7 trillion euro. Not only did this send national economies spiralling downwards and set off a public debt crisis, it also led to a regime of harsh austerity policies, imposed by the EU institutions and the IMF as conditions for loans. With that in mind, the banking union sounds heaven sent. It is claimed to make the banking sector safe, and should there be problems, a new system would ensure failed banks are wound down in an orderly manner with expenses paid by the banks themselves, with only a minimal cost to the public purse. An end not only to financial instability, but to austerity loan programmes as well. If all this sounds unreal, it’s because it is. The banking union has been oversold as a fix to the banking sector. It may sound appealing that in the wake of the financial crisis, the potential power of EU institutions should be employed to address the dangers of financial markets. But in practise, the model adopted has deep flaws and carries so many risks, that one might ask if the point is to protect the public or serve the big banks. While for the Commission and the governments, as hinted by Michel Barnier, there is no contradiction between deepening the single market and making the financial sector safe, there is evidence in the now almost completed rules on the banking union that serious concessions have been made to the banks. Concessions that may render the promises of avoiding future crises empty, and make the banking union part of the problem rather than the solution. That’s why an analysis of the banking union should include a look at what the big banks themselves think of the banking union, what their demands are, and to what extent the suggestions of their lobbyists have been included in the final design of the three main elements of the banking union: the Single Rulebook, the Single Supervisory Mechanism, and last but not least, the Single Resolution Mechanism. Such an approach leaves us with a disturbing picture. The banking union was proposed relatively recently by the European Commission, in the spring of 2012, but it has made quick progress with several elements already in place: including a set of rules on banking, a “single rulebook” with more comprehensive and harmonized rules in the EU than before, and the European Central Bank (ECB) made the supervisor of the biggest banks in Europe (the Single Supervisory Mechanism, SSM). Also, a “Deposit Guarantee Scheme”, which is to safeguard all deposits up to 100.000 euro, has been agreed. While some of this has stirred up concern among member states – particularly the SSM – the most difficult debate was always expected to be the one that the Council has now agreed on: the creation of a single resolution mechanism for dissolving ailing banks. Resolution is to be the alternative to the tumultuous and often poorly-planned interventions with ailing banks that have taken place in the EU since late 2008. These involved seemingly belated and desperate attempts to save the banks by throwing money at their creditors, with sad results for the public who ended up footing the bill. Resolution (some would say “dissolution”) means intervention by regulators to wind down an ailing bank at an early stage and in an orderly manner to safeguard financial stability and to minimise costs to the public. It also means intervention in cases where the normal procedures when a bank goes bankrupt (insolvency rules) cannot be used, because of an imminent danger to the financial system. The bank in question cannot be allowed just to sink, so money has to be spent to avert a danger to the economy. The resolution mechanism includes rules on which creditors should be compensated and which not, and it would set up a procedure to administer the former assets and liabilities of the bank. All of this incurs costs, and while both creditors and other banks will be made to pay up, the credibility of the resolution mechanism still rests on access to public funds. The thorny issue in this final phase is indeed the funds. Out of fear of having to pay for the resolution of banks in other parts of Europe, some governments, notably the German Government, has not been keen on pooling resources in any way, and the only reason why the final piece of the banking union was adopted so quickly, is because that issue was basically left aside. So, although some changes will be made to the Council’s version of the resolution mechanism, as it will have to be agreed with the European Parliament before the banking union can be established, it seems realistic that this new prestige project of the EU will be finally adopted within months. For that reason, a judgment can now be made about to what extent the Commission and the Council were guided by the lessons of the financial crisis, and to what extent did the considerations of the banks themselves take first priority? It is a matter of fact that the big banks and their lobby groups in the EU are enthusiastic about the banking union and have been from the beginning. There are several reasons for that. For a start, the banking union offers an appealing narrative on the crisis and the bailouts: according to this version, the financial crisis and the ensuing prolonged fluctuation in the fortunes of European banks did not arise from fundamental weaknesses in the banking sector, nor from fundamental flaws in the rulebook that governed the banking sector. The crisis was presented as an unfortunate mishap to be met by a new system of technical supervision at the European level. What is needed, in this view, is not a fundamental shift of course. Therefore, there have been no major attempts to break up banks that are “too big to fail”, nor to combat the phenomenon of banks that are too inter-connected or too complex. The support or creation of European megabanks, second to none globally, is still a key objective, and the key method to support their growth is to deepen the single market, i.e. liberalise internally. If the same rules apply everywhere, and all obstacles to the expansion of banks are done away with, the kind of ‘level playing field’ created is one that enables the biggest to assert themselves in the market place. This reflects one of the key objectives of European integration since the launch of “the Financial Services Action Plan” in 1999: to build a deeply integrated single market for financial services. For that reason, the banking union has not been seen by the banks as a challenge, but rather as an opportunity. It is to make sure that the liberalisation already accomplished in the sector is locked in, and that it paves the way for further market-based integration. This is reflected in the position papers of all major bank lobby groups. In an early comment to the banking union, Erik F. Nielsen, Chief Economist at UniCredit, registers his concern, for example, that “several national supervisors now restrict capital movements to the periphery, occasionally forcing repatriation of capital and exacerbating the differences in monetary conditions between eurozone countries.”2 In other words, the banking lobby is keen to ensure that the banking union avoids these types of regulatory scenarios and means the EU stays the course towards liberalization. And its priority is to ensure market-based integration continues, as the words of the Association for Financial Markets in Europe – a group of big European and US banks – demonstrate: “AFME believes banking union is a vital project for Europe, which should advance market integration, strengthen financial markets and enhance confidence in the EU economy,” AFME’s chief executive said in a statement3. To AFME, the banking union is a “major advance in market integration”. For a start, banks have an incentive to see early and effective intervention even before they get to the stage where they have to be dissolved (recovery) and to have regulators ensure an orderly process if they have to be wound down (resolution). Resolution is explicitly about safeguarding financial stability, which means ensuring there is no serious spill over to other financial institutions. In other words, resolution is in no small measure about rescuing assets of financial institutions themselves – in fact, the regulation on the resolution mechanism states that no creditor should be worse off when the debtor institution is being resolved, than if it were dismantled under normal insolvency procedures5. Clearly the banks have an interest here. The overall resolution regime will come with a cost to the banks, as resolution will be partly funded by them, but as we shall see, the sum in question is relatively small. 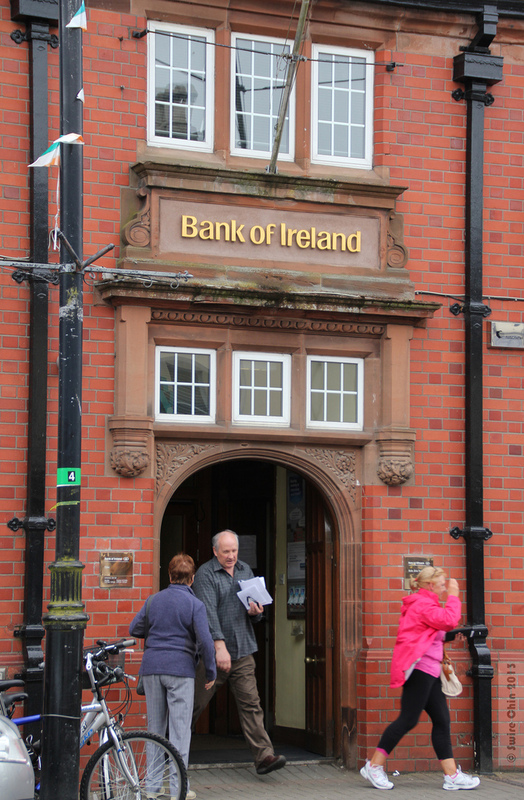 The banks have been very active on the lobby scene since the banking union was first proposed. Now that we can clearly see the contours of the new and more integrated banking regime, it seems in many ways they’ve been successful in pushing for their priorities; which needless to say are not identical to the interests of the average European citizen. 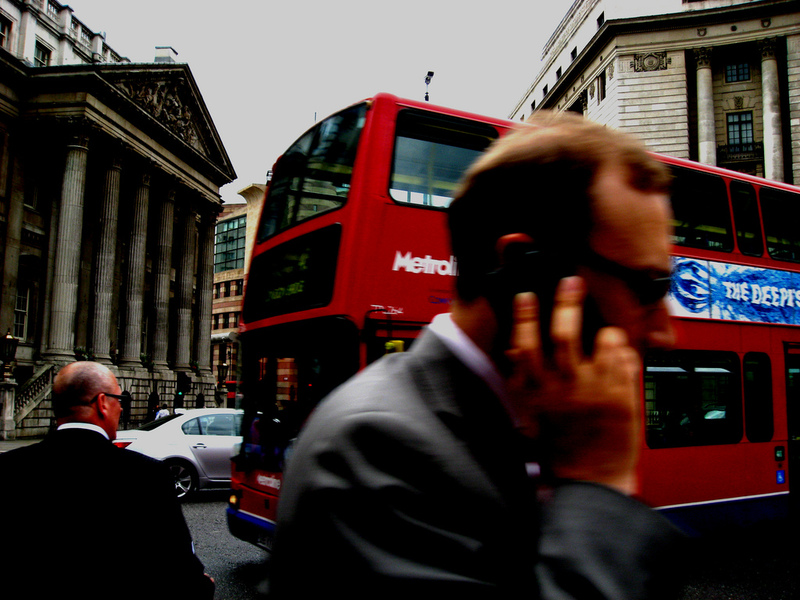 The Single Rule Book: will banks be safe now? Thus the big question is where this leaves the public interest? It’s hardly an exaggeration to say that in the aftermath of the financial crisis and the eurocrisis, top of the public wish list would be for public bailouts to stop, for banks to be disciplined and split up, and for an end to the era of harsh austerity. But will the banking union deliver? As far as the Single Rule Book is concerned, the question is whether banks will be made safe, and here two questions should be addressed: what rules have been adopted – and what measures have not been taken? The rules adopted are basically about adjusting “capital requirements”. Capital requirements have been the centrepiece of EU banking regulation from the beginning more than a decade ago. They are basically rules on the amount of money a given bank has to have available at any time – as a precaution if the markets take an unfavourable turn in relation to the investments of a bank. With two pieces of legislation adopted in 2013, this side of financial regulation is far more harmonised than before. But that in itself does not make the banks safe. There are three problems associated with the new EU rules on capital requirements – rules that are derived from an international agreement, Basel III. The second problem is that the actual sum a bank is to have at hand depends to a large extent on how the banks themselves assess their own investments. The big banks (as small banks don't have the resources to use this procedure) have the priviilege to calculate for themselves the “riskiness” of their own assets, and thus use it to define their own minimum capital requirements. Banks prefer to have as much capital available to play with as possible. Thus the temptations of self-regulation have led to such creativity and lax interpretation of capital requirements, that this was one of the key factors in contributing to the banking crisis: “It is stating the obvious to say that the faith placed in [self-assessment] models has been dented by the events of the recent crisis,” said Wayne Byrnes, Secretary General of the the negotiating body of the Basel Accords, the Basel Committee, recently9. Although the rules on banks self-assessing their own minimum capital requirements were tightened a bit, no fundamental changes were made. With this in mind, it's little wonder that the banks would like to see these rules locked in with the banking union. Equally important to what the EU has already done is what has not been done. And there are measures often cited that could significantly reduce the risk of costly public bailouts: rules to prevent banks from growing so big, interconnected and complex in the first place that bailouts become unnecessary. Banks can be allowed to fail and go bankrupt. According to two analyses put out by FinanceWatch12, a credible system for resolution of banks would first and foremost have to include ambitious preventive measures, such as dealing with the “too-big-to fail” problem, the “too-interconnected to fail”, and finally the “too-complex-to-resolve”. None of these problems have been remotely addressed. The European banking sector is as concentrated as it ever was, and even more dominated by megabanks than before. But the break-up of big banks is not on the agenda, and never really was. At best there will be a slight surcharge in capital requirements on systemically important financial institutions (SIFIs) at a later stage. This problem – the existence of “Systemically Important Financial Institutions” – megabanks – not only makes it impossible to allow the banks to go bankrupt, it makes them very difficult if not impossible to resolve. Can the ECB identify a failing bank in time? The Single Supervisory Mechanism, the second part of the banking union, involves the European Central Bank in the new role of chief supervisor of Europe's banks, with direct responsibility for the biggest 130. This puts the ECB in key position as the body supposed to correct banks when rules on capital requirements are violated. The question here is: bank health measured according to what parameters? Unfortunately, these parameters are set by the inadequate banking regulations recently passed in the European Union, the EU version of Basel III. And as explained above, these rules are hardly a big step forward. And the result of supervision of the ECB – whether more effective or not than national supervision – will be constrained by the flaws of the basic rules the Bank is to enforce. Also, in order to asses the health of the EU banking sector, the ECB is asked to do “stress tests”. As indicated above, such a test proved flawed in 2011, when a bank deemed healthy by the ECB, collapsed shortly after. If this is what it seems, a charade to make European banks appear safer than they are, then current developments should make us deeply concerned. As the ECB sets out to conduct a key stress tests before the Single Supervisory Mechanism kicks in, the Bank is considering lowering the standard capital requirements a full 25 % – from 8 % to 6 %17. With the focus on failing banks and the possible consequences, the important thing is the ECB’s role in relation to this. Under the agreed rules on resolution, it is the responsibility of the ECB to spot in good time when a bank is failing. 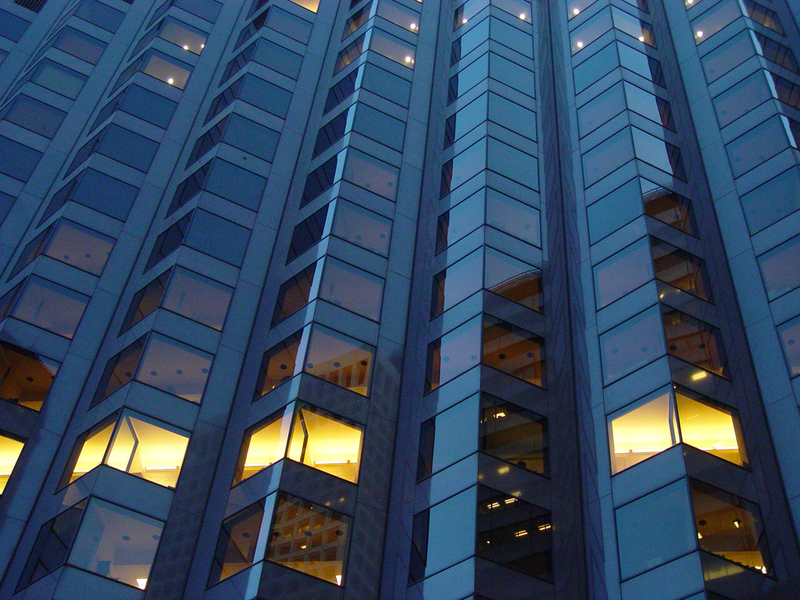 According to the proposal, a bank or a group of banks will basically “be deemed to be failing or likely to fail where the group is in breach or there are objective elements to support a determination that the group will be in breach, in the near future, of its consolidated prudential requirements (i.e. capital requirements)”.18 (Although other factors shall be considered as well as we shall see.) This assessment is to be made by the supervisor, which – in the case of the biggest banks – is set to be the ECB (while it’s still being debated if other banks are to be included in a supervisory role as well). But how trustworthy would this assessment of its capital requirements be? As explained above, the rules by which the supervisor judges are full of holes and leave a lot of leeway to banks for speculative adventures. So, it’s very likely that the detection of an imminent collapse of a bank will be rather belated, if not simply too late, for an orderly winding down of the bank. That problem will not go away just because the ECB has become supervisor of the biggest banks in the Eurozone. Even flawless supervision cannot make up for the weaknesses of banking regulation itself. Who points the finger at a failing bank? The Single Resolution Mechanism is the third and last part of the banking union. This is to be a mechanism that will ensure an orderly, organised and quick resolution of failing banks. The Council took a big step towards a Single Resolution Mechanism in December with the adoption of a common proposal for a regulation, but negotiations with the European Parliament have not started yet. 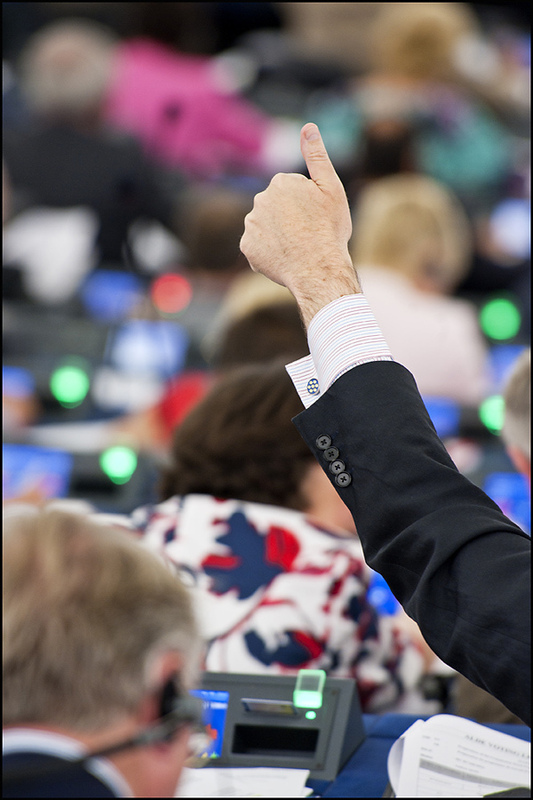 There is some opposition in the European Parliament to a few elements in the Council’s proposal, but the general design of the mechanism seems to have common agreement19. One very tangible difference is on the number of banks to be included in the mechanism – the Council opts for the 130 biggest banks, directly supervised by the ECB, whereas the European Parliament would prefer a larger number. As we have seen, one question is if the ECB or the other two bodies, will even be able to identify a failing bank in time, using the rules on capital requirements as the key yardstick. A second issue is what considerations they will have when a failing bank is identified. While the main criteria is whether capital requirement obligations are met, “other relevant circumstances” shall be taken into consideration as well. In this way, The Single Resolution Mechanism will hand tremendous power over the banking sector in Europe to non-elected authorities, and it raises questions of just how much power an independent/non-elected body should be allowed to possess. In the case of the European Central Bank, the fact that its current most important job is on the monetary scene – to safeguard the euro – raises a conflict of interest that could be costly. For instance, the ECB could be desperate to keeping a failing bank afloat out of fear for what resolving it could mean to the financial stability of the euro area, a key criteria for resolution. In this scenario the price to citizens could – in the end – be higher to citizens if the bank fails anyway – as in the case of Cyprus. Or as in the case of Ireland where the ECB pushed the Irish Government to accept a major loan to bail out creditors of Anglo-Irish Bank – again out of consideration for the euro, not the Irish – which meant that creditors of a bank got off the hook, while the Irish are forced to pay back on a loan they might not have needed, and will continue to do so for decades. While the two tasks – monetary policy and supervision of banks – will be formally separated inside the organisation, there is a real danger that the interests the institution was set up to protect – a stable euro – will weigh heavily on decisions in the area of supervision and resolution. Who decides how to dismantle a bank? Once a bank has been recommended for resolution by the ECB, the Single Resolution Board or national resolution authorities, resolution has to be taken forward immediately, and the key role is played by the Single Resolution Board ­ consisting of a director, four persons elected by the Council, and one person appointed by each national resolution authority to make the plans. It’s not a body that is to follow the orders from the Council, but an independent body. The Single Resolution Board is the most powerful body in the Single Resolution Mechanism. While it shares the right to identify failing banks, it is the Board that draws up resolution plans, which – as we shall see – is crucial. The Council can make amendments to proposed resolution plans, with the help of the Commission, but the Board has most power over resolution plans. This approach leaves little if any room for demands that banks are simply allowed to sink by letting them go through normal insolvency/bankruptcy procedures. While resolution might save the public purse money in some cases, the opposite is just as plausible. These bodies will not only determine if a bank is to be resolved, they will also determine how it should be done, including to what extent public money is to be brought in to save the remnants. In this way, an obligation is in fact created for public money to be spent on failing banks, unless resolution can be handled solely by other means, which in this case is highly implausible. 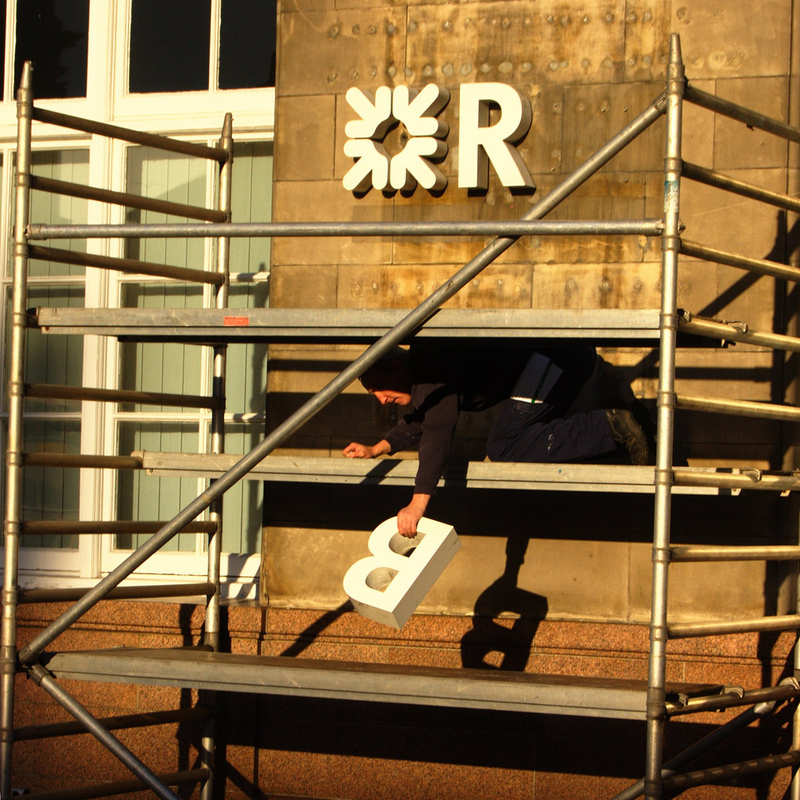 The tools for resolution: who will earn when a bank is dismantled? It’s in the resolution phase of winding down a failing bank where the money comes in – who is to pay, and who gets a free ride? The resolution procedure has three separate steps: application of resolution tools, the special resolution fund and the backstop. A presentation of the tools developed for resolution is crucial to understand who will pay in the end. The first two tools (the application of resolution, and the special resolution fund) basically establish a bridge institution (i.e. the temporary transfer of good bank assets to a publicly controlled entity), and asset separation (I.e. the transfer of toxic or failing assets to a separate company or “fund”). These tools are standard approaches in many member states' programs for the financial sector, and in some cases these kinds of operations have been conducted with some success. But the devil is in the detail; the precise use of these tools have an impact on use of public funds as they will basically leave the public purse with the responsibility for toxic assets. Other tools are more politically intriguing, such as the sale of business tool. One of the problems of the European banking sector is the level of concentration – the mega banks that seem to be able to keep growing – and the fact that their sheer size make them impossible to resolve, means that this tool enables big banks to take over ailing banks, and grow even bigger in the process. That is the core of the sale of business tool. Resolution authorities will explore if another big bank would be prepared to take over an ailing bank. The result will be even more concentration, and even bigger banks. This feature of the proposal is seen as a major opportunity by megabanks in Europe such as BNP Paribas. When interviewed about the banking union, CEO of BNP Paribas, Jean-Laurent Bonnafé said: “Then the strongest part of the banking system could be part of some form of consolidation – either through an acquisition or through organic development plans.”21 The process would be led by the strongest banks in the most powerful economies, he said – and there would be an opportunity for BNP Paribas to benefit. “In the end, consolidation will just take out the weaker players who were unable to strengthen their positions either because of their own situation or because of their jurisdiction,” he added. What this amounts to is a system of resolution that deepens potential problems for the future. At the outset, what makes the resolution mechanism untrustworthy is its inability to deal with banks that are too big to fail. And thanks to this rule, there is a real risk that the mechanism will work to make the problem even worse, as banks such as BNP Paribas or other giants of the European world of banking go on a shopping spree when smaller banks fail. So, even when assets are successfully sold off, it could easily deepen the too-big-to fail problem – one of the phenomena at the root of public bail-outs in the first place. Who will pay for resolution in the first place? 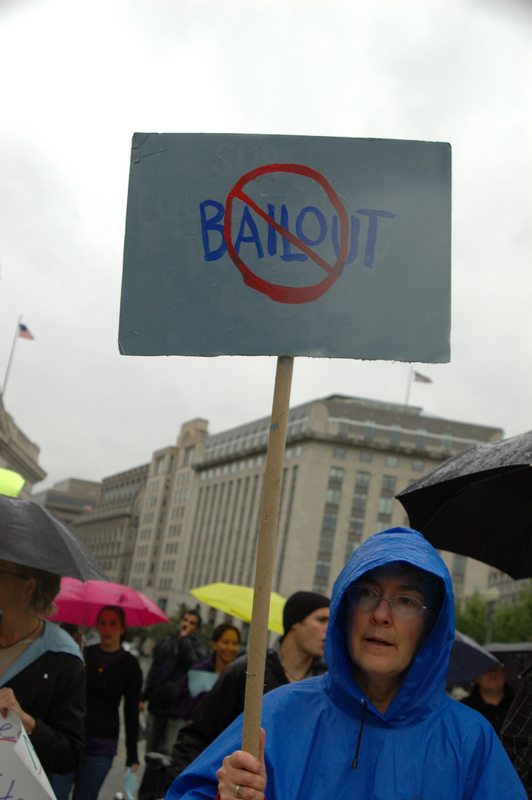 The fourth tool, the bail-in tool, is bound to be seen as good news by those opposing bailouts. This tool is to be used to ensure that bank shareholders and bondholders pay a share of the costs. Or rather, it’s to make sure they at least pay something. According to the proposal, these investors can end up paying only 8 percent of the banks’ liabilities. In some known cases, that would actually have covered the losses, such as with the Spanish bank Bankia. In other cases, notably Anglo Irish Bank, the price of the bailout exceeded the 8 percent of liabilities by far. In other words, in some cases, a bail-in will only provide a small part of the costs of resolution. The 8 per cent stems from the condition in the proposal, that in order to access further funds for the resolution of a bank, the shareholders and creditors of the bank would first have to suffer a blow of 8 per cent of the liabilities. This would be different from normal insolvency procedures, whereby shareholders and creditors would typically lose much more than a mere 8 percent. Also, some exemptions are built in, that stretch far beyond the standard protection of depositors, all guaranteed by member states up to 100.000 euros per depositor. They include a broad and vaguely worded exemption for liabilities that cannot be bailed in quickly, or whose exclusion would threaten “critical functions”, would lead to “contagion” if bailed in, or would cause a “destruction of value such that the losses borne by other creditors would be higher” than if they were excluded24. What this will mean in the end, is impossible to say. The danger is that the bail-in tool will in the end give clear indications to what particular investments and financial instruments are safeguarded, and consequently allow smart or powerful investors to get off the hook again and again. 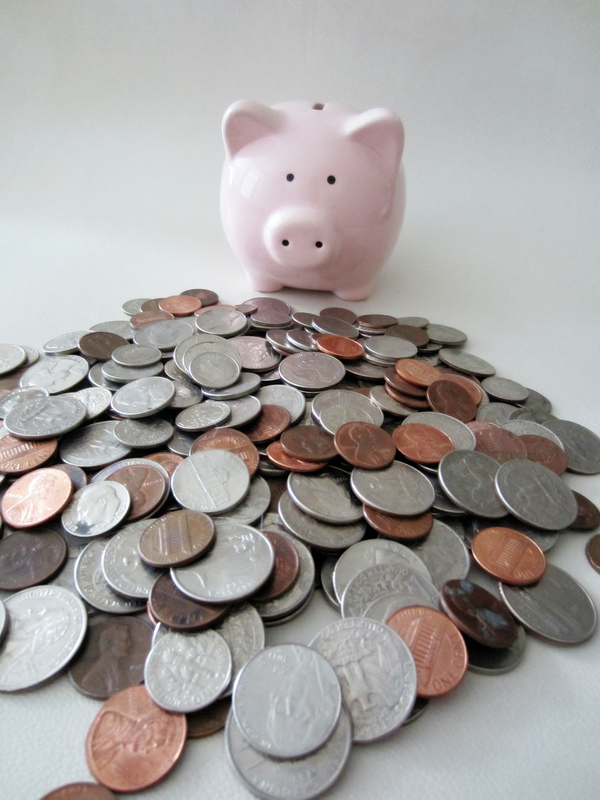 The resolution fund: will the financial sector pay the bill? The banking union has been sold to the public as a way of making the financial sector in general pay costs related to resolution. And besides the hit taken by shareholders and creditors, as explained above, financial institutions will have to pay levies for resolution funds at the national level, which will gradually be replaced by a Single Resolution Fund at the EU level. This money will come into play after shareholders and creditors have paid a minimum of 8 per cent of liabilities. This is the “Single Resolution Fund” (SRF), which is supposed to be funded entirely by the banking sector itself. This is achieved by “taxing” the banking sector to get about 1 percent of secured deposits in the Eurozone, at the moment a sum of 55 billion euro. To most member states, a lump sum of 55 billion euro is a huge amount, of course. But in the world of banking, and especially in the world of a banking crisis, it’s not necessarily so impressive. Also, the fund will not be established immediately, and the full amount will not be available until 2023 at the earliest. In the beginning, the funds available for resolution will come entirely from national resolution funds – set up to collect the levies from the national financial sector – and then little by little, the common fund will absorb the funds from the national funds in a phase-in process over the next 10 years, and the national funds will cease to exist. Until the money is available in the common pot (filled by the financial sector), the national pots will have to do, and can at best be supplemented by loans from other national pots or from the European Stability Mechanism. But while much has been said by the Commission to give the impression that the Single Resolution Mechanism would be about making the financial sector pay its own way, the modest size of the resolution fund is no confirmation of this. Also, at the moment, banks are doing their utmost to limit the amount to be paid to the resolution fund, led by their main lobby group, the European Banking Federation. They argue that most of the money to pay for resolution should come from bailing-in shareholders and creditors of the bank under resolution, not the fund the banks themselves would have to pay into (the SRF). They point out, that the “outstanding senior unsecured long-term debt” held by banks is 1.1 trillion euro, 20 times the amount projected for the SRF. The use of SRF funds, they think, should be restricted to “operational costs of resolution”25. In other words: the SRF won’t cut it at all. And it may even be worse. If we follow the “back of the envelope” calculations of Financial Times columnist Wolfgang Münchau we see a problem of an astonishing magnitude: banks could be holding bad assets to the tune of 2,6 trillion euro26. He does admit this number is nothing more than a guesstimate with a high error margin, but he points out that even if you deduct the GDP of Italy, you still end up with 1 trillion euros. Add to this that the ongoing crisis has so far cost 1,7 trillion euros in bailouts. Who will pick up the final bill? In other words, unless the spectre of financial crisis and big banks in trouble vanishes overnight, there will be a need for more money – most likely even before the Single Resolution Fund is fully phased-in. This problem, however, has not been addressed head on yet. At this point, the Council has pretended this problem can be sidestepped. The first ten years, it’s hinted that “in the build-up phase money will be available from the respective national sources, or from the ESM on a case by case basis in line with agreed procedures”. The ESM has been mainly set up to organise the procedure on loans to troubled Eurozone member states, including conditionalities. The rules of the ESM already include provisions that allow the fund to recapitalize banks, so the juridical barriers to making the ESM the preliminary backstop seem to be modest. The question is if even the ESM would have the financial “fire power” to withstand for example a series of collapses of big banks. But to bring the ESM-option into perspective: so far, the mechanism commands a total of 500 billion euro, mainly intended for loans to eurozone member states. Even these funds are dwarfed if old non-performing loans – bad assets – were called in, or if a new crisis of some sort appears. How will they deal with the glaring lack of funds? The issue of the backstop has not been developed in the negotiations. In the short term, if funds from the Single Resolution Fund are depleted, the only option is the ESM. And there’s a precedent: Spain. In 2012, the Spanish Government felt obliged to seek support from the ESM to recapitalise its banks, and tried at first to avoid any kind of conditionality related to its own policies. That failed miserably. In July 2012, the Spanish Government signed up to harsh conditions. This approach enables the Commission and the Council – or so they would claim – to step into areas not under EU competence. While some of the demands made of Spain seem uncontroversial, others are more serious. Among the demands put to the Spanish Government for 2013 were to “increase cost effectiveness of the health-care sector”, pension reforms, labour market reforms, reforms of public transport etc.27 In other words, the flaws of Spanish banks have been used to push the overall neoliberal agenda, and the public is bearing the brunt. But if this option is used, it will be a confirmation that the banking union is not a shield against publicly funded bailouts, nor against the accompanying austerity measures. This certainly goes for the first decade, before the Single Resolution Fund is fully operational. The question is what kind of backstop the Council imagines should take over after the phase-in of the SRF, and the answer is so far non-existent. With the adoption of the Council position, it was agreed to start working towards a more permanent “backstop solution”, to be set up in 10 years time. What will that look like, eventually? It is clearly too early to tell. But the negotiations on the banking union so far, have been dominated by the position mostly voiced by the German government, but with other countries supporting discreetly: there will be no pooling of resources without a common set of rules that imposes austere economic policies on member states, and all loans will be followed by strict conditionality. So, unless the political landscape of the European Union changes dramatically in the coming years, we seem to be heading for yet another factor that will push economic and fiscal policy towards neoliberal austerity policies: the banking union. In this way, the banking union ends up as a much more comprehensive project than meets the eye. It becomes the most ambitious integration project of the moment, and the question of the consequences of a banking union cannot be overestimated. Though the banking union is an ambitious project, it is not particularly promising. Bankers, Commissioners, politicians and governments have depicted the banking union as a solution to all ills of the banking sector. But while in principle, a system that would in the end ensure orderly resolution of banks seems like a brilliant idea, the outline of the EU banking union holds little promise. It will not secure the banking sector against future crisis, it will not put an end to costly public bail-outs, and it will not make the accompanying austerity measures history. Rather, it is set to perpetuate two of the major ills of EU politics today: costly bailouts of banks and the imposition of austerity measures. The Achilles heel of the banking union is the weakness of EU regulation of banks. At the root of the problem lies the lack of political will to deal effectively with banks that are too big to fail, a banking system that is highly interconnected, and very complex. Despite the dire warning of the financial crisis and the eurocrisis, the new rules amount to little more than an adjustment, not a fundamental reform. This leaves us with megabanks of a type that cannot simply be allowed to sink, and as a consequence, a costly system is to be erected to serve as a safety net. To the banks, the banking union is much more than the safety net of the resolution mechanism. It's a guarantee that the single market for financial services is not only protected, but deepened. The adopted rules on banks provide a higher level of harmonisation, making it difficult for member states to impose tougher demands on their banks. To big banks, such a harmonised set of rules makes it easier for them to expand, as they offer predictability. Hence their support to the Single Supervisory Mechanism, which entrusts supervision of the biggest banks to the ECB. The Single Resolution Mechanism too, seems tailored to the demands of the biggest banks. The bail-in tools exempt the most speculative instruments, OTC derivatives, and one of the tools, the sale of assets, could even exacerbate the problem for the future, as big banks go on a shopping spree when buying assets of former competitors at a time when their price could be well below their real value, allowing them to grow even bigger. The promise of the banking union was to end or minimise public bailouts and let the financial sector pick up the bill for resolution of banks. That will hardly be the case. While it seems certain that shareholders and creditors will take a hit of at least 8 percent of a banks’ liabilities, that would still leave a lot to be covered, presumably. Some might find optimism in the fact that the financial sector will be made to pay a total of 55 billion euro to a “Single Resolution Fund”, but such a sum will hardly do the trick. It seems inevitable that more public money will be handed over to save the banks. The battle of the banking union was never really an open political battle fought in public. The issue is probably too complicated for most. Consequently, the lobbyists of the banks have had a relatively open field in the process. Under the banner of “strengthening the single market”, they have seen the banking union as an opportunity to enhance their opportunities, while keeping the concessions to a minimum. In that, they've been successful, and can look forward to an era where they can continue with the same behaviour on financial markets, and in the end have the authorities clear up their mess. This bodes ill for the public purse, and it’s also at the centre of the ongoing political dispute inside the Council over the banking union. For what would be the political implications if we are looking at a future where all governments pay a share of the bailouts of big banks of other member states? The likely response will be to further strengthen the rules on economic and fiscal policies even more. In the political context of present day Europe, it’s hard to imagine member state governments offering generous support to other member states financial sectors with no further ado. Money will be met with political conditionality, and as a consequence, the banking union will no doubt be followed by demands for further central control of member states' budgets and economic policies. In sum, the banking union is not a step away from public nurturing of big banks, and it’s not a step away from the imposition of austerity that followed in the wake of the crisis. In fact, it rather looks as if the banking union will seal the status quo and perpetuate the link between irresponsible speculative behaviour of banks and the misery of the majority. 2. Comment in the Financial Times, 4. September 2012. 3. AFME, press release, 18. October 2012. 6. This is the so called “basic requirement” – in the Basel languiage: the sum of Common Equity Tier 1, Additional Tier 1 and Tier 2. 7. The Economist, 21. January 2010. 8. Financial Times, 5. October 2011. 9. Wayne Byrnes, speech at a BCBS-EMEAP-FSI High-Level Meeting, 25-26. February 2013. 10. Press release from EBA, February 2013. 13. FinanceWatch; “Europe’s banking trilemma”, September 2013, page 7. 14. FinanceWatch; “Europe’s banking trilemma”, September 2013, page 23. 15. FinanceWatch; “Europe’s banking trilemma”, September 2013, page 23. 20. Regulation on the Single Resolution Mechanism, article 18, para 2. 23. Bank Recovery and Resolution Directive, article 30, para 2a litra f & paragraph 3a. 24. Bank Recovery and Resolution Directive, article 38, para 3c. 25. EBF; ”EBF positioning on the principles underlying the Single Resolution Mechanism”, 17. September 2013. 26. Wolfgang Münchau; “Europe is ignoring the scale of bank losses”, Financial Times, 23. June 2013.